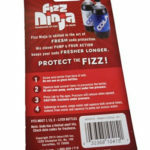 PROTECT THE FIZZ: The Fizz Ninja’s unique design repressurizes soda. 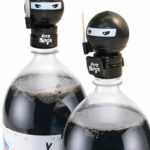 No more wasted money on flat soda! 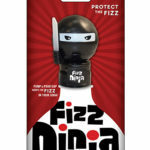 UNIQUE DESIGN: The unique flip-top design of the Fizz Ninja allows for easy pouring without removing the cap. 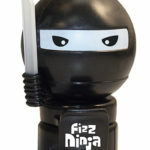 REPLACE AND REPRESSURIZE: The Fizz Ninja replaces the original cap. 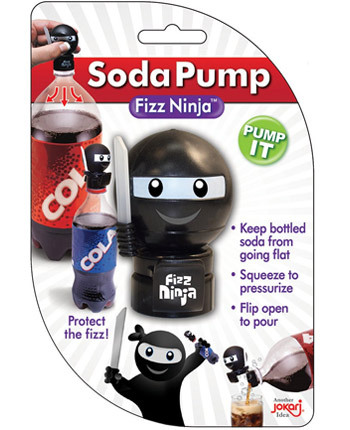 A gentle squeeze repressurizes the soda to prevent loss of carbonation. 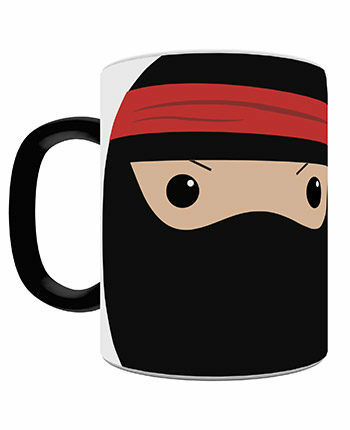 Stop dumping flat soda down the drain! 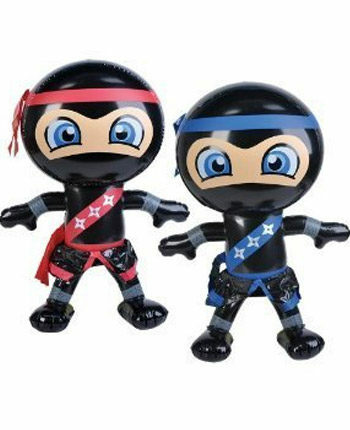 Twisting the cap on a half-empty bottle of soda and failing to hear the rush of fizz is as frustrating as it is disappointing. 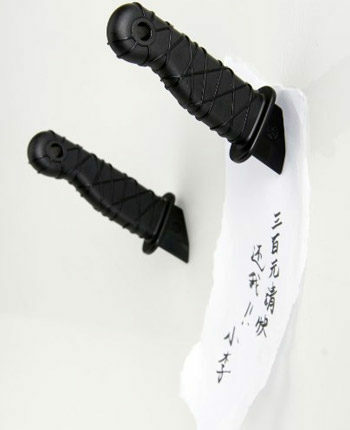 It’s an age-old problem, that until now, has been a mystery to solve. 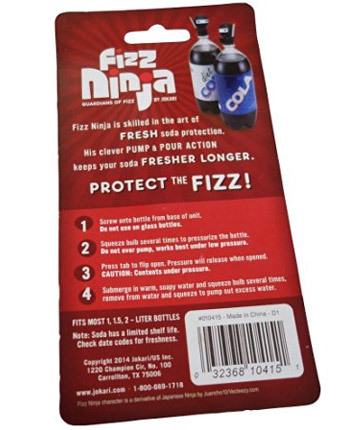 Thanks to the Fizz Ninja, you can now enjoy fresh, flavorful, carbonated soda for longer than ever before. 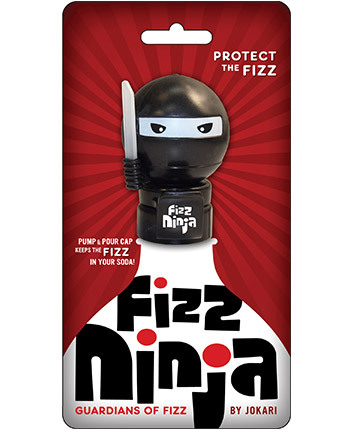 That’s because the Fizz Ninja features a special repressurizing system that keeps more fizz inside the bottle longer. 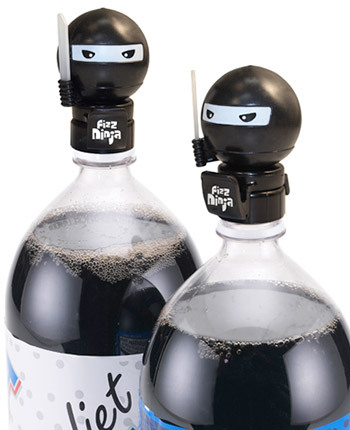 Simply replace the cap on your favorite 2-liter bottle of soda with the Fizz Ninja, give it a gentle squeeze, and enjoy the fresh fizzy flavor each and every time! 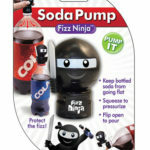 Plus, with Fizz Ninja’s flip-top design, enjoying that soda is much easier and more convenient. 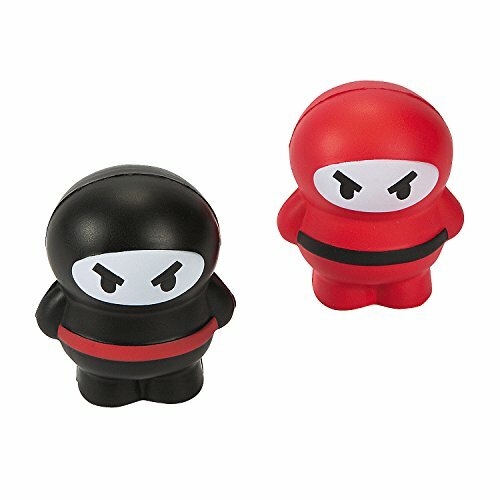 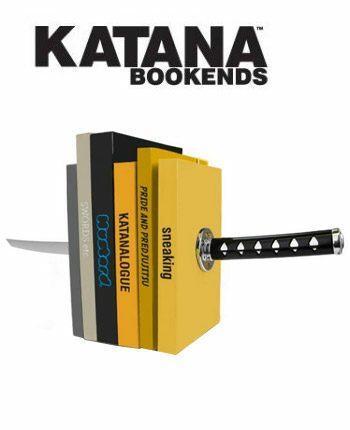 If you’re a soda drinker, and hate throwing good soda and good money down the drain, it’s time you let the Fizz Ninja go to work for you. 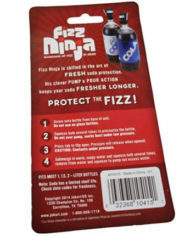 CONVENIENCE: The Fizz Ninja fits most 2-liter bottles. 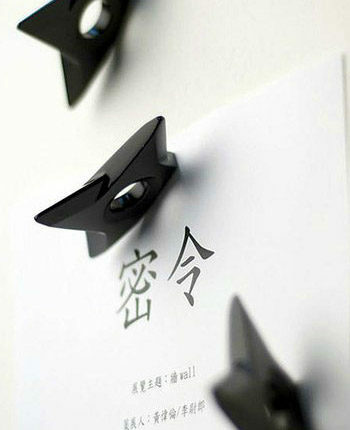 COOL NINJA SHAPE: Soda bottles become cooler when the Fizz Ninja tops them. 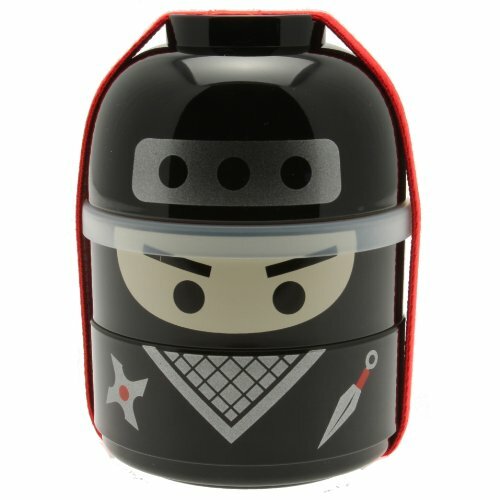 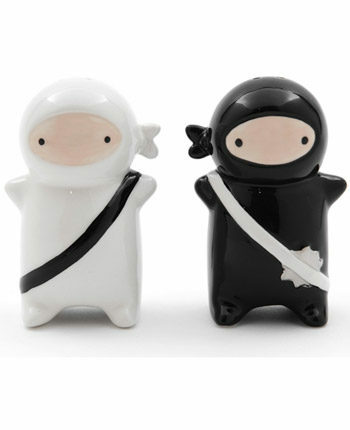 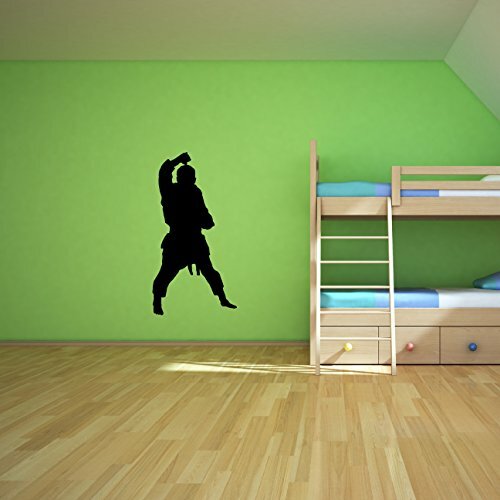 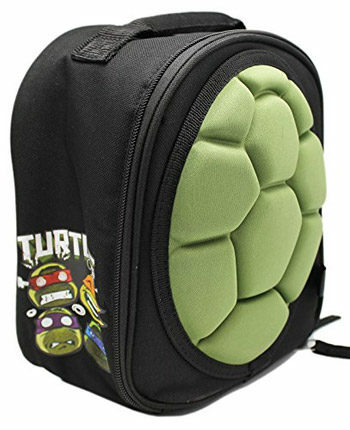 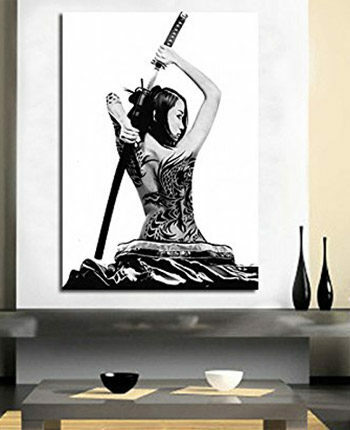 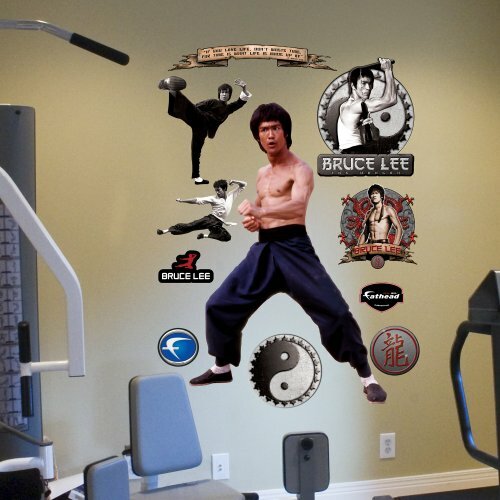 Who wouldn’t want a ninja protecting their soda?